Is there anything more baffling than David Lynch's latest music video? Perhaps this edible cookbook could give it a run for its money. Although the sudden legitimacy of fanfiction is further proof that we now live in an alternate universe. Which is probably driving writers to drink even more, in search of "sudden insights." If only an inspirational montage was all it took to help said writers pen the next great American novel. 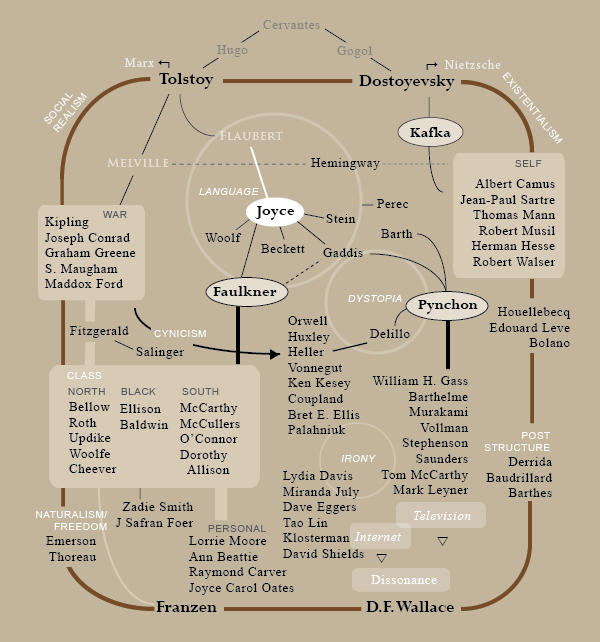 Then maybe they'd find a place on this hallowed literary flowchart. The authors included in April's must-read list have a pretty good chance at making the cut. As for the rest of us, it's mostly just a lottery, and we should just keep our fingers crossed.